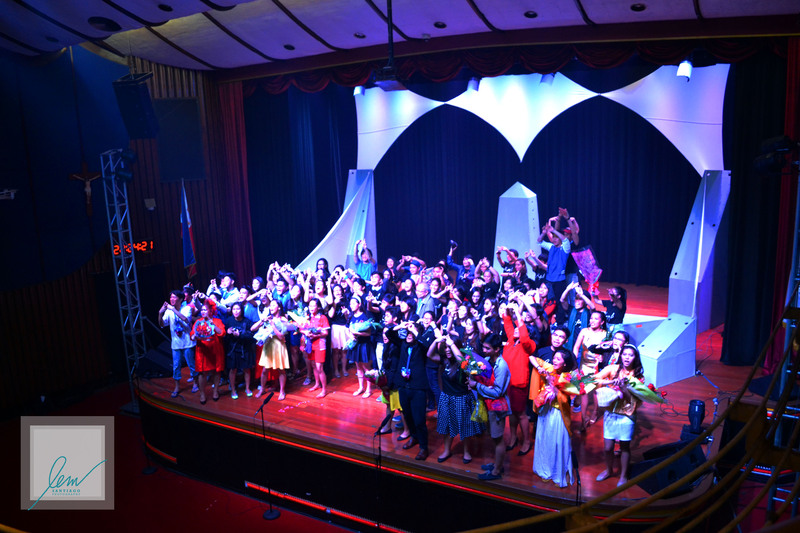 Fun, magical and full of “hugot”. 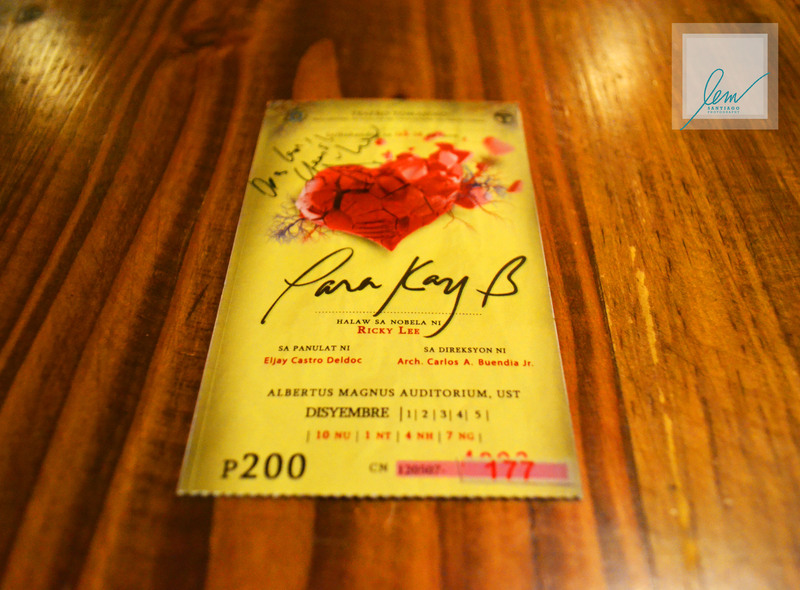 Last December 5, Aurora Metropolis was able to catch the final run of the much anticipated stage adaptation of Ricky Lee’s “Para Kay B”, at the Albertus Magnus Auditorium of University of Santo Tomas (UST). 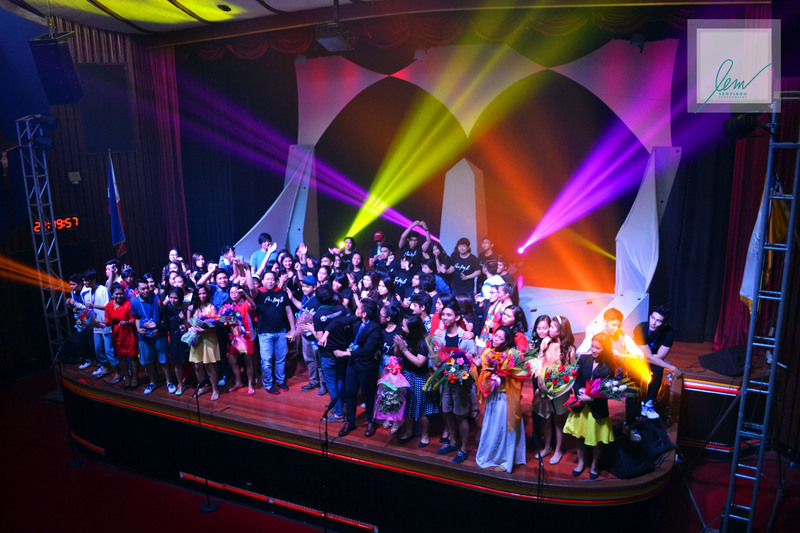 Produced by UST’s official theater guild Teatro Tomasino, the play was written by Eljay Castro Daldoc and showcased the talents of Teatro’s alumni and current members, including its director Arch. 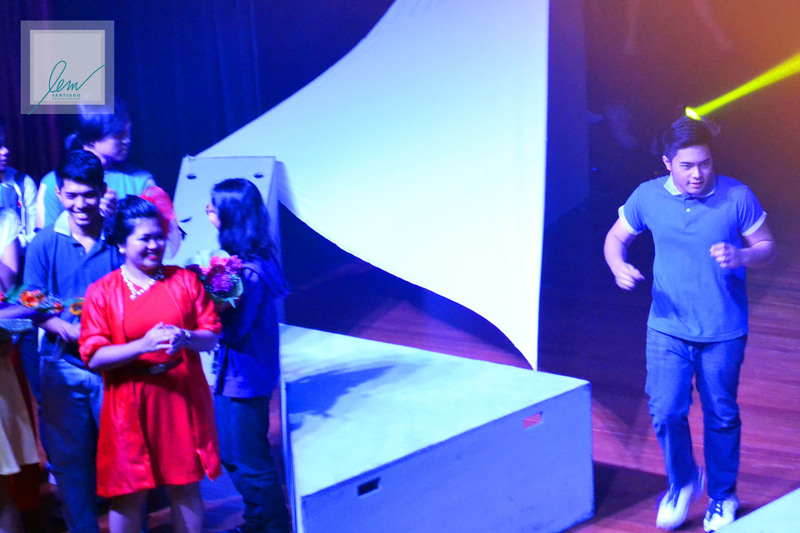 Carlos Buendia, Jr. (Teatro’s former artistic director) and its professional adviser, comedian John “Sweet” Lapus. 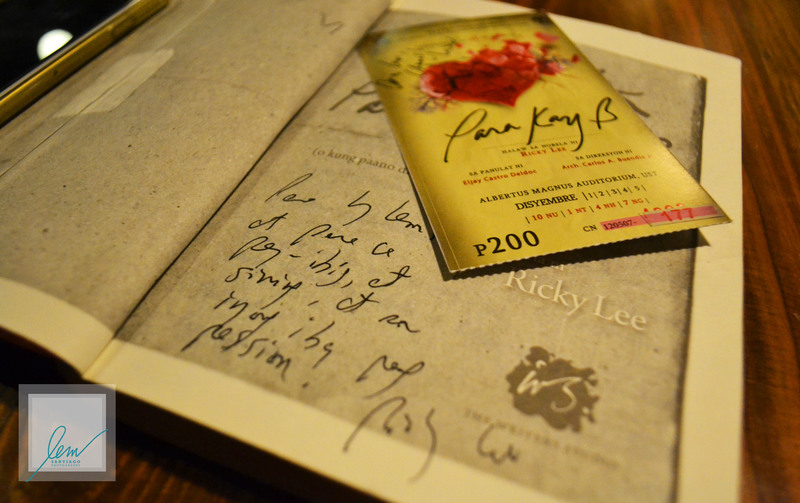 This event became extra special because of the presence of TV/movie writer and film industry icon Ricky Lee who entertained his fans by signing their copies of the book and even their tickets. 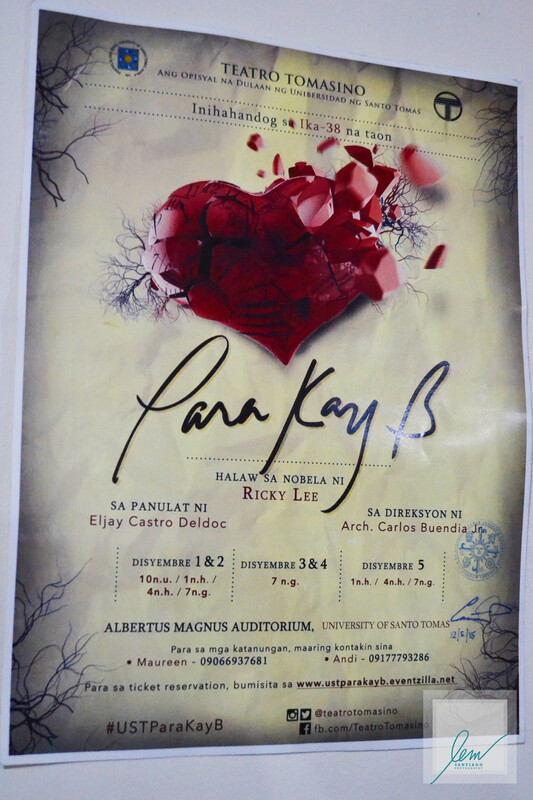 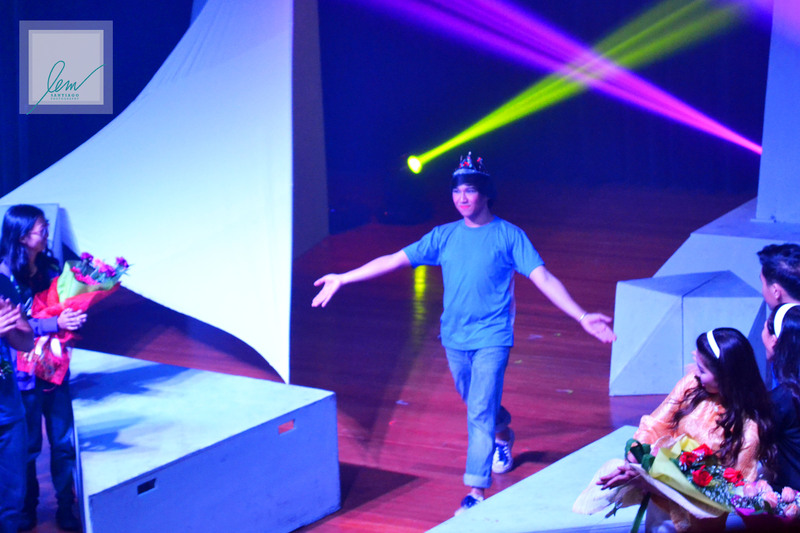 Prior to its UST debut, “Para Kay B” was first staged by students of UP Los Baños inside a small classroom in 2011. 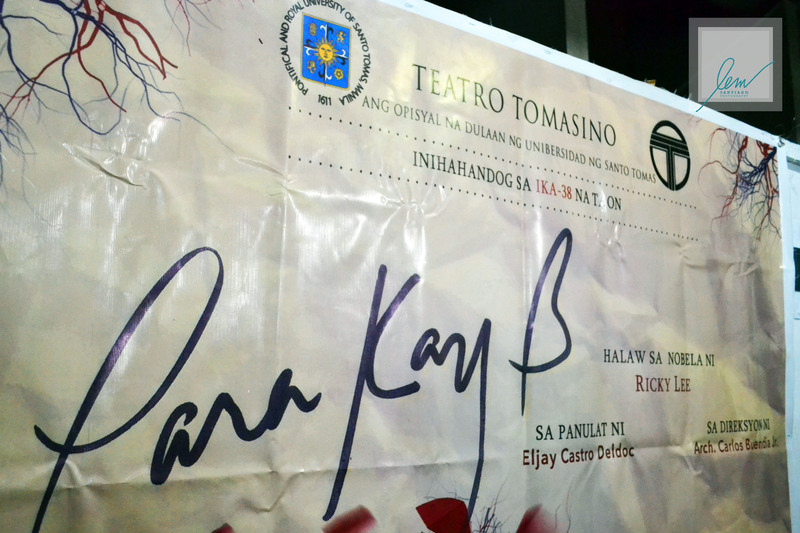 “Para Kay B” is Teatro Tomasino’s production in celebration of its 38th year as UST’s premiere theater organization. 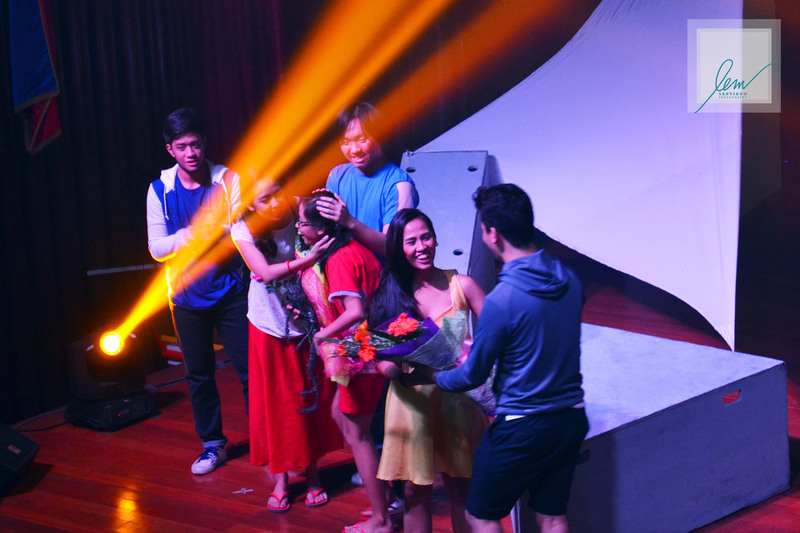 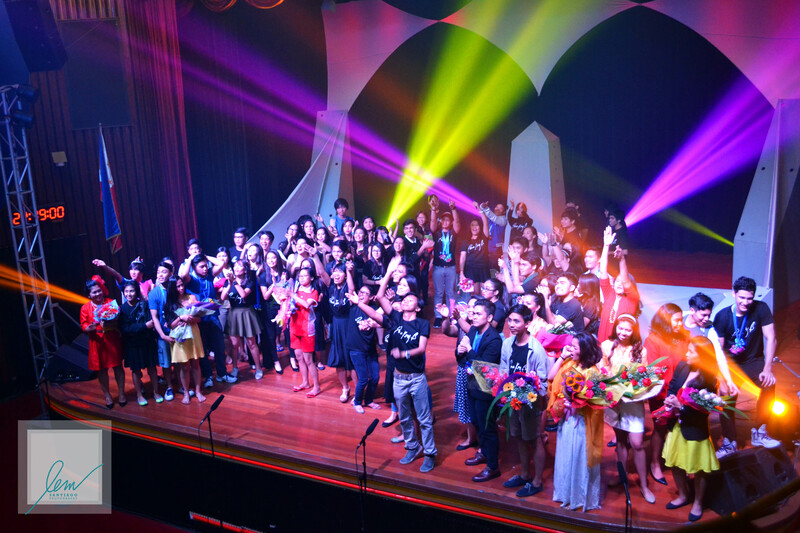 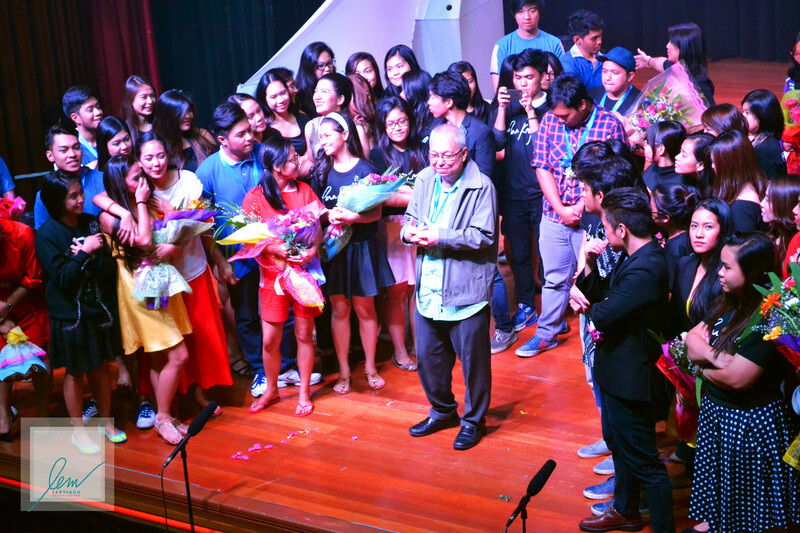 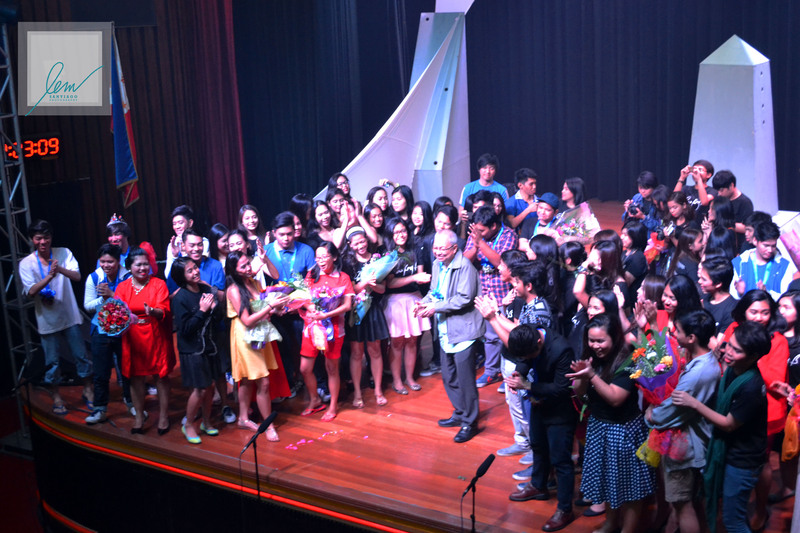 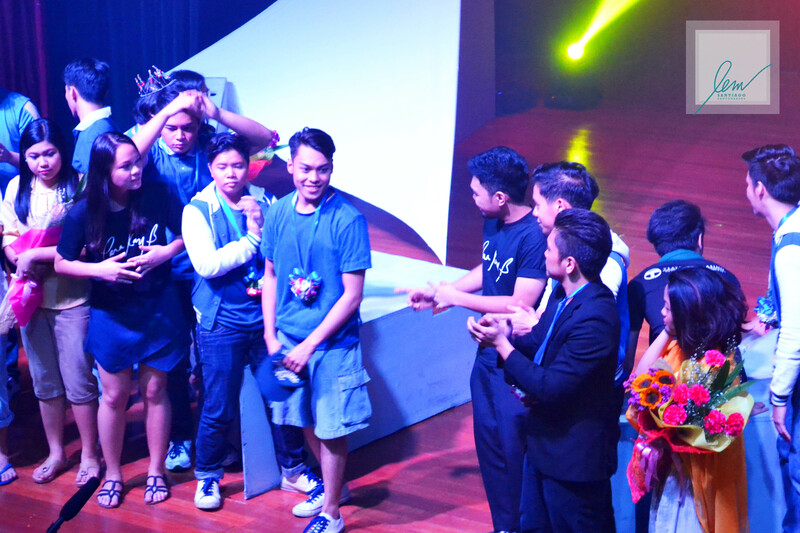 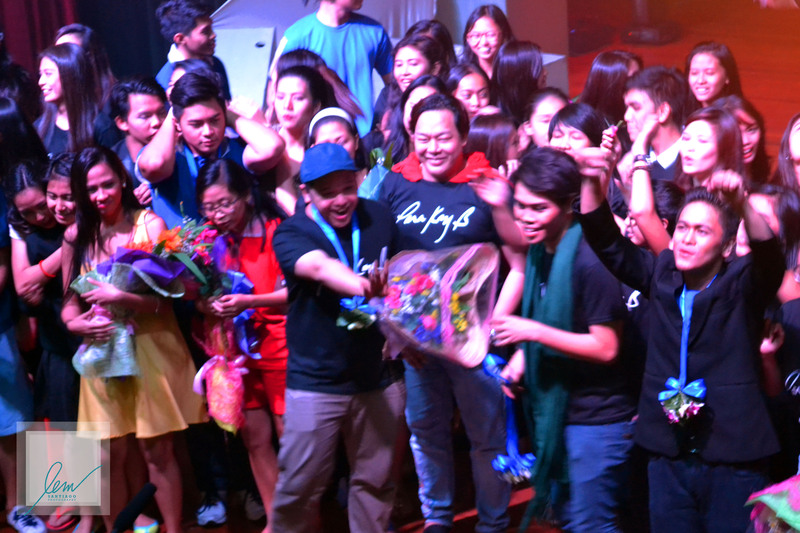 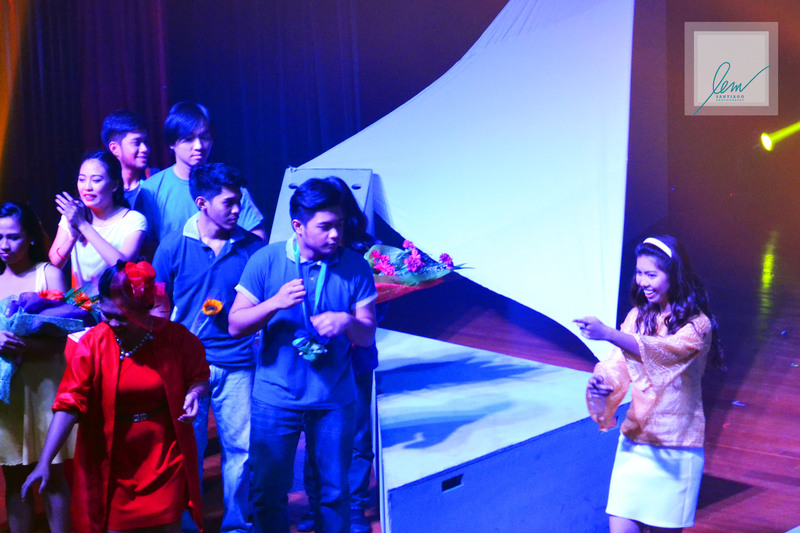 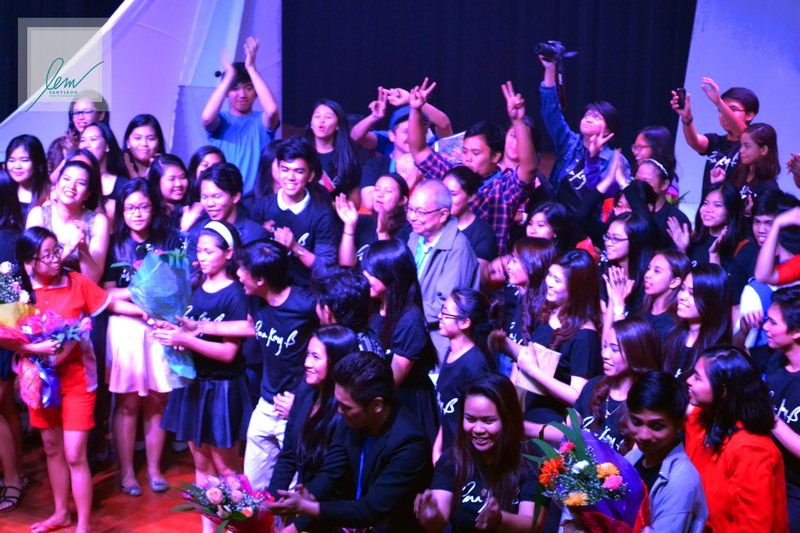 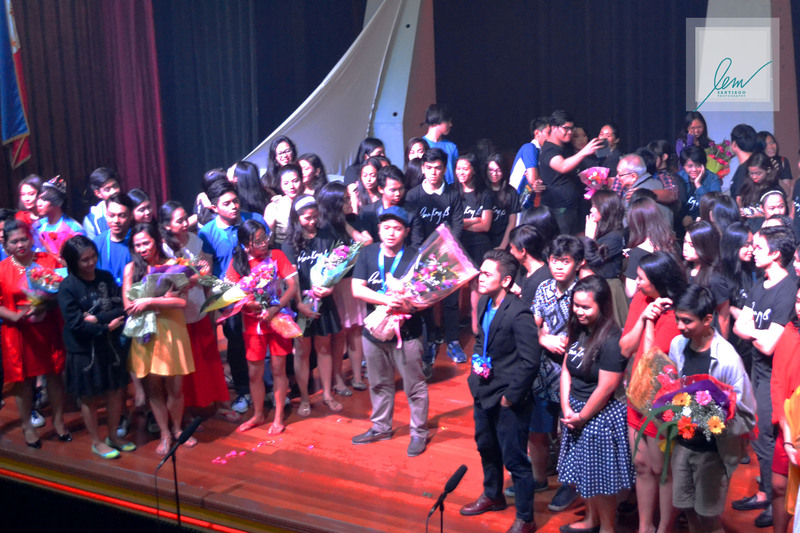 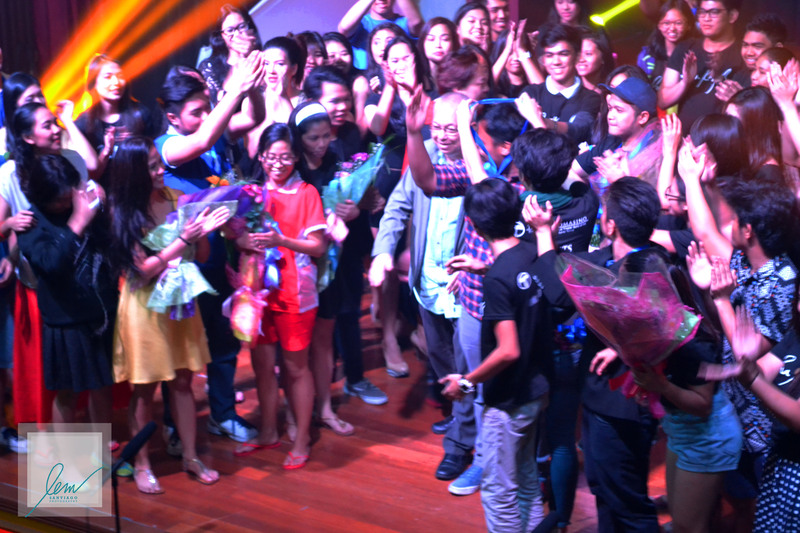 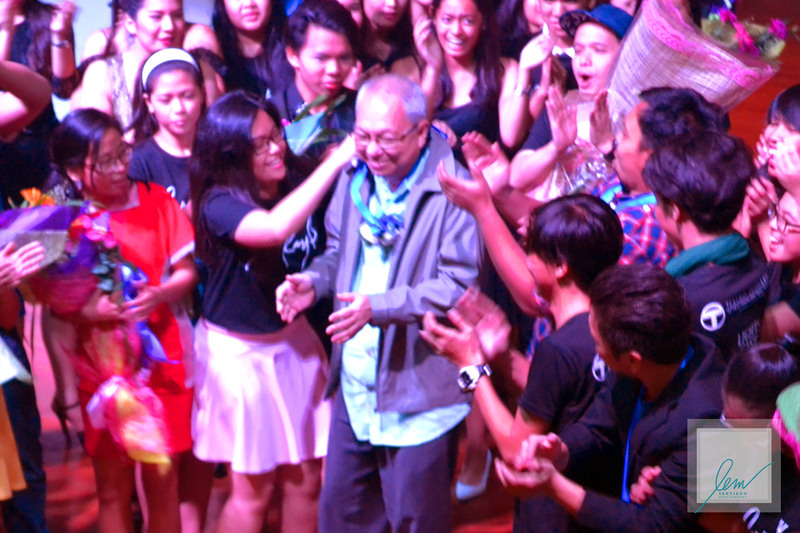 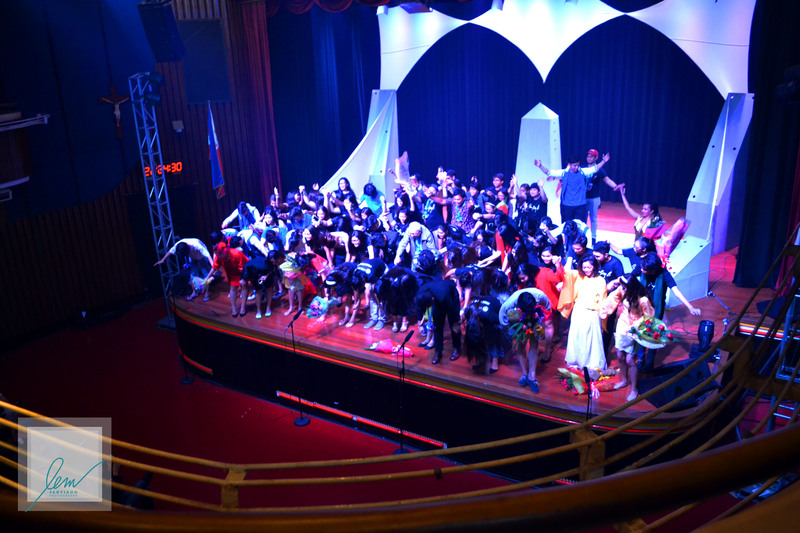 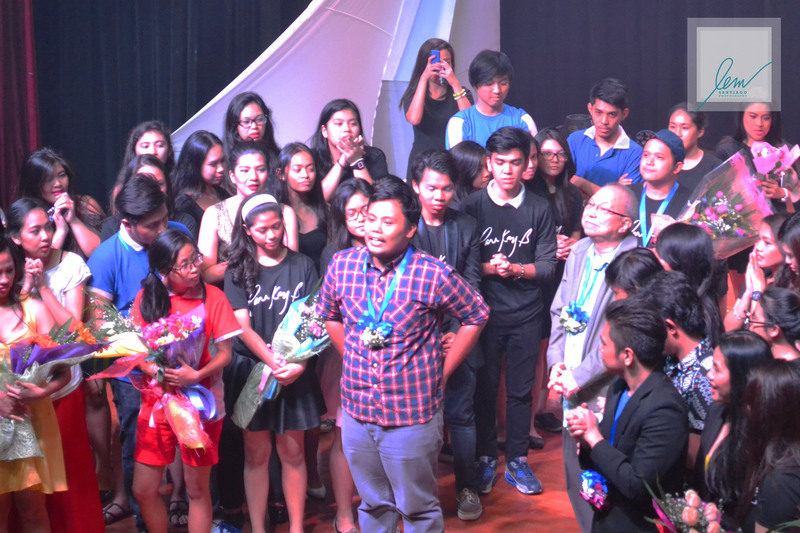 Here are some of the photos from last Saturday’s Para Kay B final curtain call.